Following on from the previous DMRC overview post, here are some Do’s (What, When & How) for reporting defects to the DMRC, and also some Don'ts to avoid. Media failure– please don’t wait until the end of defined incubation period to report and start taking action to alert recipients of the affected batches! In most cases, there will be early tell-tale signs of turbidity that indicate a probable fail. Environmental monitoring indicating gross contamination, specified pathogens or unusual microorganisms. Risk of product mix-up– any situation where a patient may inadvertently take one product in place of another. This includes mis-labelling and rogues. Cross contamination either by other pharmaceutical materials, or by substances that could be harmful (residual solvents, non-pharmaceutical substances such as pesticides, industrial chemicals). Where the product may cause physical injury, for example presence of broken glass or plastic particles in an eye preparation or an oral liquid. Stability out of specification (OOS), or out of trend with implications for batches in the market (remember other production batches may also be implicated). 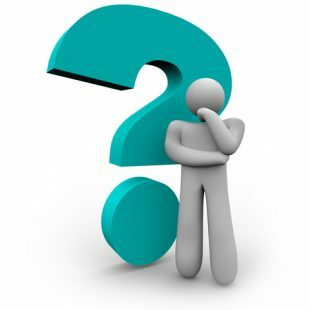 Customer complaints for isolated issues – manage through your PQS. For example, a customer may complain that the batch variable data (batch number, expiry date) on a secondary carton pack is missing or smudged. If it is only one occurrence, it can be managed through your PQS as above. However if it is a widespread or repeated occurrence, then there may be a need to take market action, for example recall of affected stock or issue a Caution in Use. By the way, I’ll be writing a further post to explain how the DMRC decide what action take, and the different options for action to protect public health. 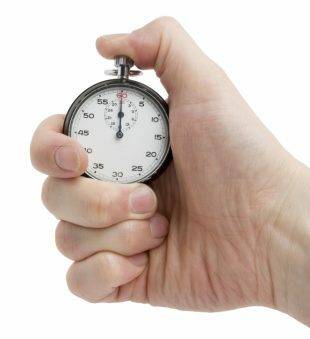 Chapter 8.15 of the EU GMP Guide states “Quality defects should be reported in a timely manner.” What is “timely?” It depends on the severity of the risk. You will need sufficient information to make an initial risk assessment (what is the hazard, how much stock is affected). It is recognised that you may not have all the details at this stage – these can be provided as a follow-up. If the defect presents a life threatening or serious risk to health, then you should report within one or two working days. Very serious defects can be reported out of hours (phone 07795 641532) – the call will be taken by the MHRA Duty Officer who will contact the DMRC assessor. The reporting of less serious defects should not be delayed, for instance by prolonged investigation where the root cause cannot be identified. If a stability test is OOS, don’t wait for the next stability test point in the hope it will go back into specification! Although identification of the root cause is essential to determine what other products/batches may be implicated, and to identify the actions to prevent recurrence, it may be necessary to take market action immediately to protect public health. Please don’t forget to provide the final investigation report, and the reconciliation report if there was a recall. What is the most important thing we want to know? It sounds obvious, but you would be amazed how many times we take a call on the phone hotline, and struggle to get the reporter to explain what the defect actually is! Photos or chromatograms can be very helpful – a picture is worth many words (you may notice that we use photos in our drug alerts, to help explain the defect). We also want to know all the batch details please (product name, PL number, batch number, date of manufacture, date of expiry, size of batch (number of packs) date of first distribution, date of last distribution, quantity on hand). And you will need to provide your patient risk assessment, assessment of shortages, and your recommended action. As I said earlier, you may not have all this information at the time of initial report. My tip is to have a template to prompt you to provide all the information required – helpful when you’re in the stressful situation of a potential recall. You could include the template in your recall SOP. You can send the defect notification in an email to the DMRC mail box. 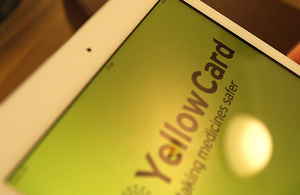 Alternatively you can use the Yellow Card reporting scheme for defective medicines - this replaces the old on-line form some of you may remember. The Yellow Card form prompts you to enter data in the required fields. Files such as photos, reports, chromatograms can be attached to the Yellow Card report. Call us where you need to explain complex issues – but it’s better if we’ve had a chance to first read your report and prepare any queries that we might have. When you call the phone hotline, we will always ask you to provide a confirmatory email, summarising the defect and giving all the batch details (product name, PL number, batch number, date of manufacture, date of expiry, size of batch (number of packs) date of first distribution, date of last distribution, quantity on hand). We will not take the defect and batch details solely by phone as it is all too easy to make transcription errors. My tip is to have a draft email ready to send, adding any points discussed during the call. After submitting your notification of a defect by email or Yellow Card, you will get firstly an auto-reply email, followed by an email from DMRC giving the MDR reference number. Please use the reference in all correspondence, as it greatly helps our administration. Jump to a recall before consulting DMRC – this would breach regulations*. Expect an instant DMRC assessment on the phone – we will often consult with Department of Health and MHRA colleagues. Include a lengthy email train in your report, to prove actions and timings. We need a concise and clear summary. Use acronyms specific to your company or speciality – please spell them out in full at first use. Expect us to resolve your problems for you – we may be able to give some advice on market action, and we may request specific points to be investigated, but won’t act as consultants. Plead ignorance or inexperience in your own recall process – remember that it is a requirement of chapter 8 to have a recall process and to test effectiveness. Wait until the batch has expired before reporting a stability OOS, where earlier test points were OOT. Wait until 16:45 on Friday to report a serious defect…. The next DMRC post will cover risk assessment of the defect and the range of actions to protect public health.